At some point in your career, there is a very good chance that you’ll be asked to present an idea or concept or argument or business plan to a group of people. This might be a small group, such as your team, or it could eventually be a keynote to a large room full of 1000s of people. While the difference between a small group and a keynote can be large in some aspects, there are certain basics that every speaker should consider. Having done this for over 20 years, I thought it might be valuable to pass along some tips and tricks to make your technical talk successful. Tell a Story – Whether you’re trying to educate somebody or you’re trying to communicate a new idea, it can often be valuable to frame it in the concept of a story. It doesn’t have to be an epic tale, but having a beginning (problem), middle (data &/or introduction of new ideas) and an end (conclusions or next steps or recommendations) can be a good framework to keep the talk bounded. Make it Visual and Shareable – There’s a reason the old saying “a picture is worth a thousand words” has continued to be used for so long. Many people learn and remember visually. It can be a picture you create (diagram, etc.) or an image from the Internet (just be sure to give proper attribution). A picture engages their brain unless a bunch of text on the screen. A picture can be abstract and encourage brainstorming and ideas. And while many technical people dread the idea of using a Slide-tool like Powerpoint or Google Slides (“that’s for those marketing people’), slides are a great way to have your idea easy shared and copied (allowing it to spread virally) by other people. Practice Ahead of Time – If you’re going to ask people to give you some of their time to listen to your ideas, you owe them the respect to be prepared. This not only means that you’ve reviewed the content for accuracy, but you’re practiced the talk a few times. In addition to practicing the talk, it can be very valuable to think about some of the discussions that could come from your talk – objections to your ideas, demands for supporting data, plans for next-steps, etc. NOTE: It’s never a bad idea to record yourself giving a talk, both in audio and video. You’ll be surprised at how many speech “ticks” you have (all the “umms” and “uhhs” and “you know” and other strange phrases you throw into your talks.). If you think you’ll be speaking frequently, I’d highly suggest that you look into some practice techniques (such as TED Tips or online sessions or Toastmasters) to reduce those issues. Now that you have the basics, let’s talk about some strategies for various types of talks you might give. Be sure to have socialized the idea prior to the presentation. You should generally know the reaction from the team (and decision-makers) prior to making the presentation. In fact, you want to have recruited the influencers and decision-makers to be on your side, so they can help mitigate the pushback that you’ll get from some people in the room. Have some pictures or slides ready to present, so the idea can be visualized and discussed, as well as being easily shared after the meeting. While you should be prepared with a decent amount information (whatever is possible), be aware that there types of meeting often stall within the first 3 slides – so put the important information up front! Don’t get sidetracked before you get to the new ideas. Similar to the Team Meeting, you want to have socialized your ideas across the groups prior to the meeting, especially with team leadership. 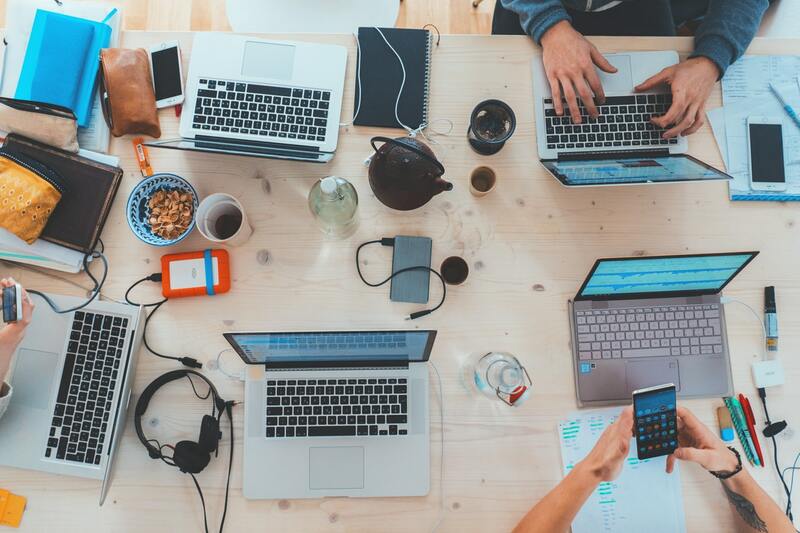 When you start including more groups, you want to be more prepared for the unexpected – territorial behavior, concerns about personal projects vs. bigger company goals, etc. Keep in mind that most teams have their own way of viewing things, include specific language (acronyms, important metrics, etc.). Be familiar with these and try to avoid being ambiguous on important items that could be confusing. Highlight how much pre-collaboration has already occurred. People like to know that these aren’t one-sided. State the problems and opportunities in the context of all groups in the room. People like to know they will be able to impact the problems vs. being excluded. Realize that some things will be newer to some groups than others. Be prepared to go slow at first, to get them up to speed on things that are well known to another group. Also, be prepared to correct or educate them on any misconceptions they may have (e.g. learned from news outlets) about the new opportunities. Talks about a specific technology – sometimes generic, sometimes about a vendor offering. For these types of talks, it’s good to have some visuals (maybe less than 10 slides) and maybe a way to show some live technology (a demo if possible). Meetup groups are really flexible about presentation formats, so just use something that you’re comfortable speaking to. TIP: If a demo is a major part of your talk, consider making a screen-capture recording of the demo, as event WiFi can be sketchy. Nothing worse than getting people excited about your demo and having it not work because of bad WiFi. At least with a backup video, you can talk to it (and pause) while it plays. Getting your talk accepted at the conference. Until you’re well known in the industry, or have a really unique presentation topic, getting a talk accepted can be difficult. Too many conferences accept talks from people they know (no matter how much “blind draws” they claim to have), so you really have to have a unique/creative angle to your talk – some good tips here and here. Once your talk is accepted, it’s time to make it awesome. Every conference has a slightly different (or significantly different) audience, so it’s good to do some research ahead of time. Many conferences have their previous year’s agenda online, so see if you can find any of the talks (slides or videos) online. Try and get a feel for what works at that conference. Usually you can reach out to the conference organizers to get a feel for the audience, or ask them to share their experience on what’s worked well or failed badly in the past. The simplest (and maybe best) advice is to create a talk that you’d enjoy listening to, and then make it your own. Find your style of presenting, and then work to improve that with each new talk. This is the most difficult talk, because the expectations are much higher from the audience. Keynotes are usually intended to inspire people, or make them think (broadly) about new ideas or trends. They are usually less technical, which means that you need to find a way to capture the attention of both business-level people and technical-level people. Much more visual slides. The visuals convey part of the story-telling. Less immediate action (e.g. “go out and try this now!”) and more focus on getting people to think longer-term. Some concepts that will rally people around an idea, and hopefully help spread your idea(s). Data to help backup any claims you’re making (financial analysis, market data, etc. ), or identifying where a trend is going. A little big of ego and a large amount of confidence, because you’re trying to convince a large room of people to stay focused on your and ideas. TIP: If you ever get the opportunity to give a keynote, PLEASE make sure you have SEVERAL people proof-read all the slides MULTIPLE TIMES. Lots of people will take pictures, and the last thing you want to happen is a TYPO or GRAMMAR ERROR that could have been easily caught. Hopefully some of these tips are useful. There are lots of different ways to give talks. Use something visual and shareable. Don’t be the anchor of an idea, allow it to be shared and retold. Good luck on your next talk! 2018 was a big year for Cloud Computing in terms of industry growth, major acquisitions and mergers, and shifting trends in software usage. There is no easy way to summarize all the announcements and activities that take place in an entire year, let alone the entire Cloud Computing industry. So I’ll try and narrow it down to a few of the biggest trends and events that not only impacted 2018, but will have long-term impacts into 2019 and beyond. For years, we’ve watched the largest cloud providers invest billions of dollars (per quarter) in data centers and infrastructures around the world. Those investments are beginning to be payoff in a big way, as the Big 6 cloud providers are distancing themselves from the rest of the industry. 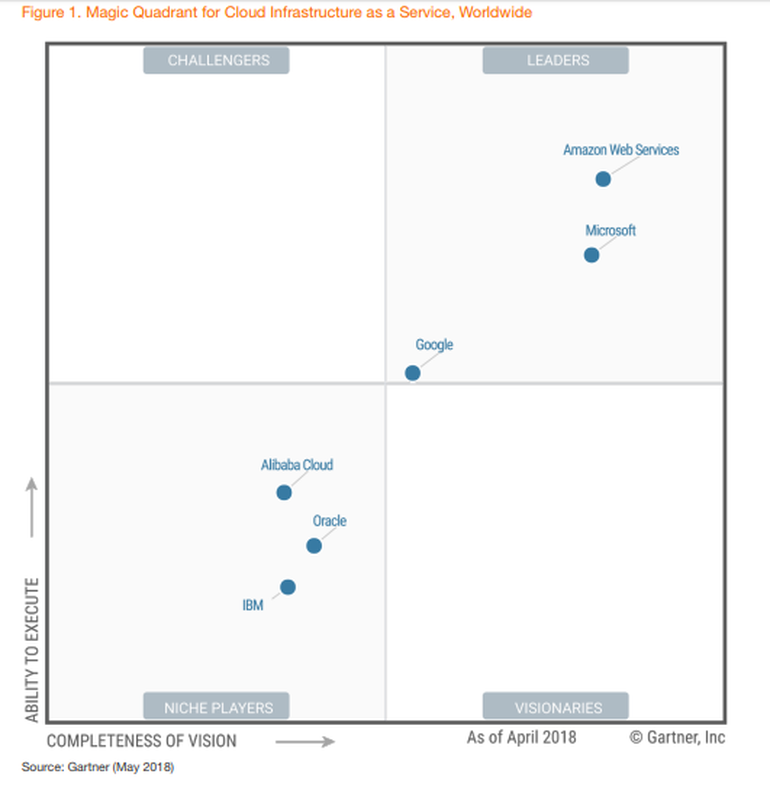 I wrote about the growth of AWS and Azure just a couple months ago. While Q3 was slightly “bumpy” for both companies, they both continue to grow at an astounding rate. This is the direct result of years of investments, as well as a willingness to not be bound to a specific set of technologies. The biggest acquisitions and mergers in 2018 were all open source centric. IBM acquired Red Hat for $34B, Microsoft acquired GitHub for $7.5B, and Hortonworks merged with Cloudera. By themselves, each of the acquisitions addressed critical needs for each company. In addition, they made a bold statement about the importance of open source software, developer ecosystems, and the need to consolidate in order to effectively compete in a market with some very large cloud providers. Is Open Source licensing at a cross-roads? While the center of technology innovation has heavily shifted towards open source communities, the economics of cloud computing has been shifting more and more towards public clouds. This is leading some companies (Redis, Confluent) that lead popular open source projects to re-evaluate how they license their project (known as “Common Clause“) in a way that doesn’t allow public cloud providers to use the software, offer a managed service and not contribute back to the project in a meaningful way. This is a change to the more traditional open source licenses, and feedback on the change has been mixed. It will be interesting to see if this is an anomaly, or more projects adopt this competitive approach. Can a new CEO improve the Google Cloud Platform? With the departure of Diane Greene and the replacement by Thomas Kurian (formerly of Oracle), GCP will go into 2019 with a new leader and a potential culture change. Everyone will be watching to see if GCP can figure out how to break through into the Enterprise, and how much change Kurian will need to create in order to move GCP out of 3rd-place. 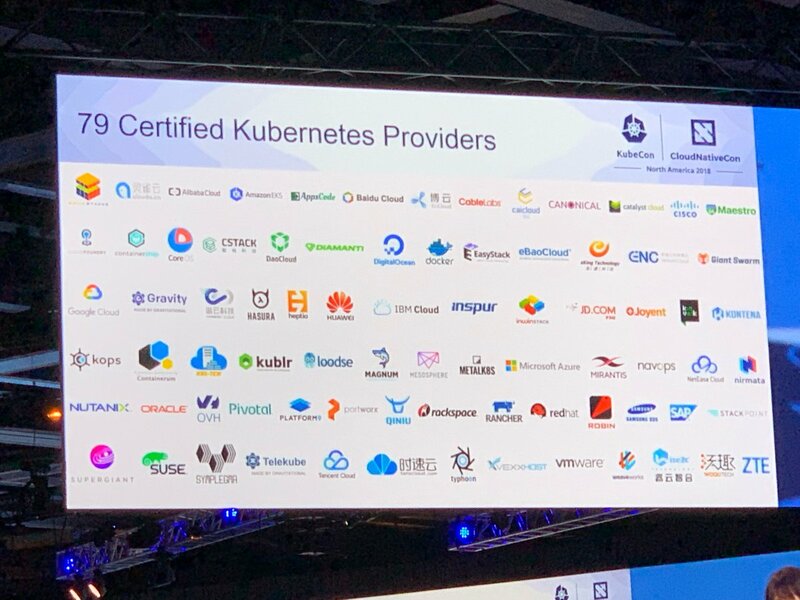 As we saw with the growth of the 2018 Seattle KubeCon event, and several major acquisitions (CoreOS, Heptio, Red Hat) that involved Kubernetes, the Kubernetes market is preparing for significant growth in 2019, as well as greater levels of competition. While Google Cloud Platform has been around for many years (going back to the Google App Engine days in 2008), I’ve been attending Google Cloud events since 2016. Throughout that timeframe, it has often been difficult to understand the messaging, differentiation and overall direction of Google Cloud. On one hand, Google has always been recognized for their technology strengths and ability to scale applications at a global level. On the other hand, Google has never been known to be skilled in person-to-person communication or collaboration, as the core of their business has been automating transactions and person-to-machine (or machine-to-machine) interactions. This person-to-person communication is often considered to be at the core of successful “Enterprise IT” companies, of which Google Cloud Platform is making some progress, but still struggling to master in relation to other public cloud providers (AWS, Azure, Alibaba, Salesforce, Twilio, etc.) or even growing software companies (VMware, Red Hat, ServiceNow, etc.). So with that backdrop, Google Cloud decided to bring in a new CEO to run the business. Former Oracle executive Thomas Kurian will be replacing Diane Greene as CEO, beginning in January 2019. Before Kurian begins his tenure, here are a few tips and suggestions to address some of the challenges that have kept Google Cloud from succeeding in the past. Define the Relationship between Google and Google Cloud. In the past, Google Cloud has highlighted that its DNA and much of its technology comes from the parent company Google. When Google Cloud engineers talk about this relationship, they often blur the lines. Many of the Google Cloud engineers came from Google, so they love to highlight all the great technologies they internally had in their past roles. But not all of this “greatness” is available to Google Cloud customers. And not all potential Google Cloud customers have a “Googley” culture, so many “Googley” things (technology, culture, etc.) aren’t available to potential customers. Customers care about what’s available to them, not what’s behind the curtain. “Beta” and “Enterprise” don’t mean the same thing. 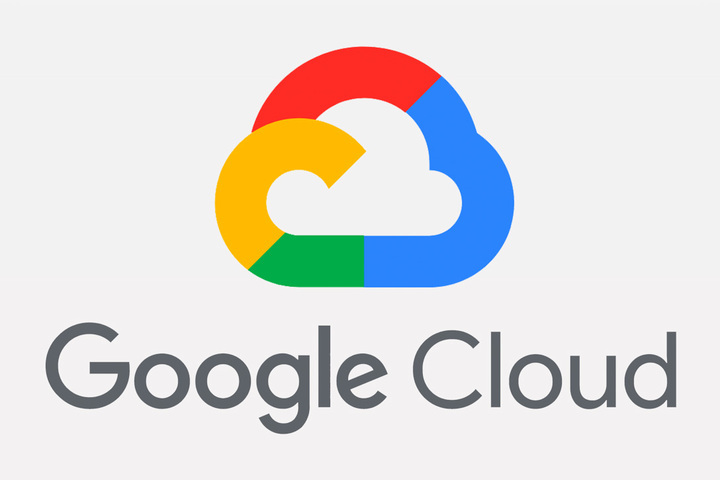 Google (or Alphabet) and Google Cloud share the same brand name. Millions (or Billions) of consumers have interacted with Google services. Some of those Google services, which were beloved, got cancelled with little to no notice. Technologist remember this stuff. And as much as the folks at Google Cloud like to say, “that’s not us!”, potential customers have that concern or doubt in the back of their minds. The new CEO really needs to make it clear, maybe with some form of financial guarantee, that Google Cloud services won’t be killed off. It’s a perception problem that Google Cloud needs to address. Figure out how to change the rules of the game. When looking at the basic services, GCP does a reasonably good job matching up with AWS (or Azure). In some cases, GCP technology is faster (booting VMs, network latency, etc.). In some cases, GCP pricing is better (e.g. preemptive credits). But none of those advantages were so significant that (most) customers would choose GCP over AWS. But GCP is still recognized as being significantly better at AI/ML, and at globally scaling applications. And Google/GCP is very good at making those technologies relatively easy to use, because there is so much AI/ML brainpower behind the scenes at Google. 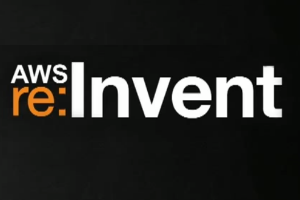 This is the type of technology that might allow a retain company to compete with Amazon. Or a smaller company to compete with a large bank. So how could GCP help companies leapfrog to using more AI/ML/BigData services? Maybe it means they need to make the cash cow of AWS (compute & storage) essentially free. Google has so much compute & storage capacity in their data centers, the margin costs for any additional server or storage must be very close to zero. And data gravity is everything in cloud computing. If the amount of friction to on-board the data, compute and store the data is so low that getting to the AI/ML goodness is considerably faster, then maybe the rules of the game are changed for a segment of nearly every potential customers business. Consider big partnerships. Given how far behind GCP is in Enterprise sales, it might be time to consider a partnership with Microsoft/Azure or Oracle. GCP is way ahead of Azure in AI/ML capabilities, and Oracle just can’t seem to figure out how to build a modern cloud. So maybe GCP considers a partnership where they either OEM their AI/ML to Azure, or OEM their entire cloud to Oracle. 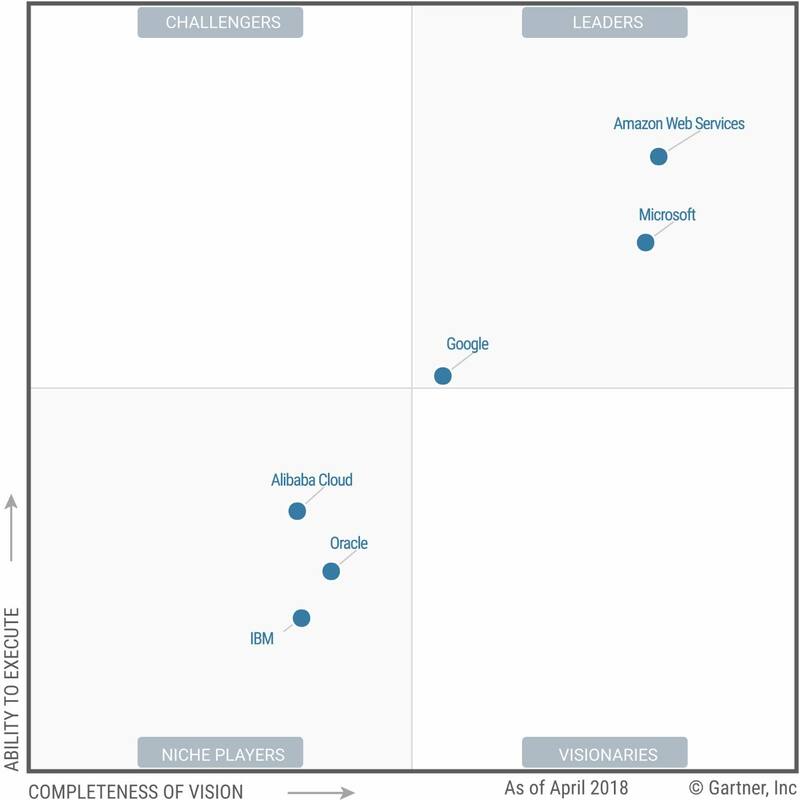 Both of them have massive Enterprise installed bases that AWS is actively recruiting, and AWS has already locked up a strong partnership with VMware. Just a few things for the new CEO to consider as he begins to figure out how to improve GCP’s current standing as the 3rd or 4th largest public cloud. About 4 years, I wrote about taking this weird job working on open source software (OSS) at EMC, back before OSS became a thing that every enterprise software company thought it needed to do and VC and M&A started throwing $Billions of dollars at it. One of the details that I didn’t share in that story was how I prepared for the presentation I had to make to the EMC executive staff in order to finalize the funding. At the time, EMC was a pretty stodgy old company, where all the executives wore suits (and often ties) every day, in every meeting. They were asking me to focus on open source software, which isn’t a very suit and tie friendly environment. There was a part of me that was excited about the opportunity, and part of me was seriously concerned that they would quickly allow the suit & tie culture to smother this new thing that went counter to everything in their culture. So while I spent a good bit of time preparing my presentation, it was a different litmus test that I used to determine if this program would have a change of succeeding. I wore jeans and a t-shirt to the presentation. In room full of suits and ties, I stood out like a sore thumb. I almost didn’t get into the board room, because the admin at the desk thought I was lost. But I needed a way to gauge if they would focus more on my appearance or my story. I needed to see how comfortable they would be with being uncomfortable. Ultimately they listened to the entire presentation and agreed to fund the program, which lasted about 3yrs. As I watched the initial media tour after IBM announced that it intended to acquired Red Hat, I noticed that Red Hat CEO Jim Whitehurst worn jeans in the interviews along side IBM CEO Ginni Rometti. While Red Hat’s CEO didn’t consult with me about his wardrobe for the interviews, I suspect that he went through a somewhat similar thought process about conveying what he represented in this new context. It was an important signal to both Red Hat employees and the market at large that he would be representing who Red Hat was in the market. They are a company that represents open source communities, and they represent a more engineering-centric approach than IBM’s more executive and sales-centric approach to the market. There are lots of different approaches to job interviews. All of those might be relevant to a specific situation. 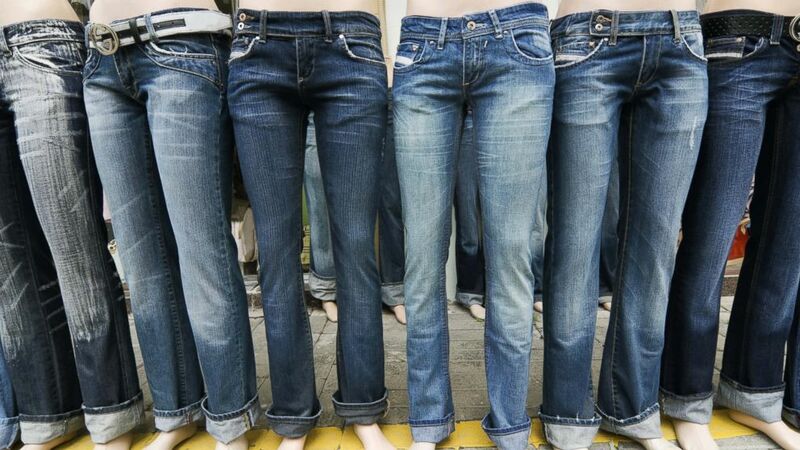 But for a situation in which you’re asked to be part of a significant change, and you’re not sure if the change will be accepted, maybe it’s a good idea to wear jeans. This week both Amazon and Microsoft announced quarterly earnings for Q3CY2018. At the corporate level, Amazon’s revenues fell below expectations, while Microsoft’s beat by a significant amount. Looking one layer deeper, AWS’ revenues slightly missed expectations (but still grew 46% QoQ) and Azure continues to grow, but at a slightly lower rate than the previous quarter (76%, from 89% last quarter). What can we take away from these announcements? Well, lots of things, depending on how you look at the numbers. NOTE: CNBC’s Jordan Novet (@jordannovet) breaks out some very nice graphs comparing the numbers of the two companies. AWS is still growing very fast (+40%), especially for division with already large revenues ($25B+). Amazon now completely breaks out the AWS revenues (from the “Other” category thru early 2015). 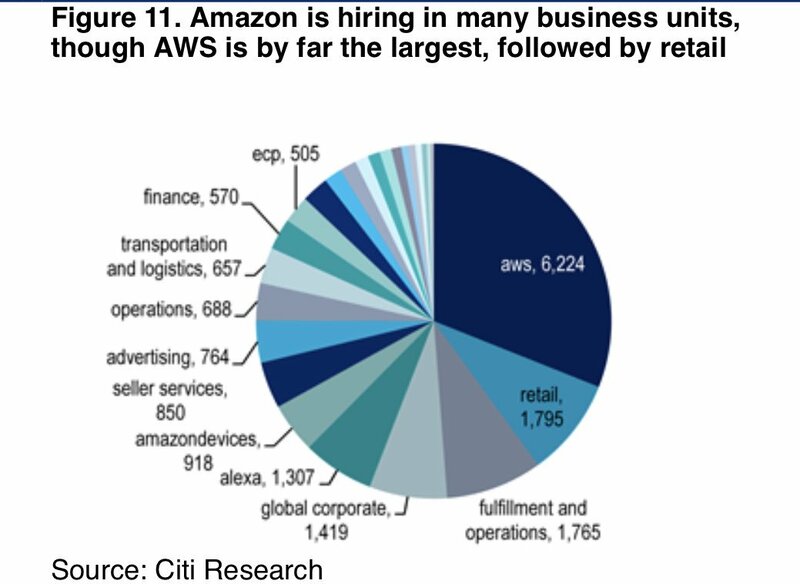 This is because AWS has become a $20B+/yr business, and it drives significant profits for Amazon. This is important, as it’s different from how Microsoft breaks out “Azure” revenues, which are spread across multiple buckets (Office 365 Cloud and Intelligent Cloud). We’ll explain more about that later. AWS’ Operating Margins grew to over 30% for the quarter, the highest levels in more than 4 years. This means that while revenues aren’t growing as faster as previous quarters, they are more profitable revenues. Azure’s revenues are not explicitly broken out (still under “Intelligent Cloud”), but they are assumed to be in the $7.5-7.75B range, which would make it larger than AWS. That would be a bold claim, especially without exact numbers, so let’s just say that the two Seattle cloud giants are playing the game in the same ballpark. Operating Margins for Azure aren’t specially broken out, so we don’t have any real picture of profitability of the Microsoft Cloud, the same way we do for AWS. Granted (see below), how costs are allocated to usage of the data-center and cloud resources could varying significantly across different companies. Anytime you look at the public cloud revenues or margins, it’s also important to consider the levels of capital spending they are doing to continue the growth. To compete at the highest levels, this required more than a $1B per quarter investment. Granted, these investments can be leveraged for many activities, not just public-cloud facing customer resources (e.g. search, retail websites, autonomous vehicle telemetry, gaming, etc. ), which allows for broader economies of scale for all areas of the business. 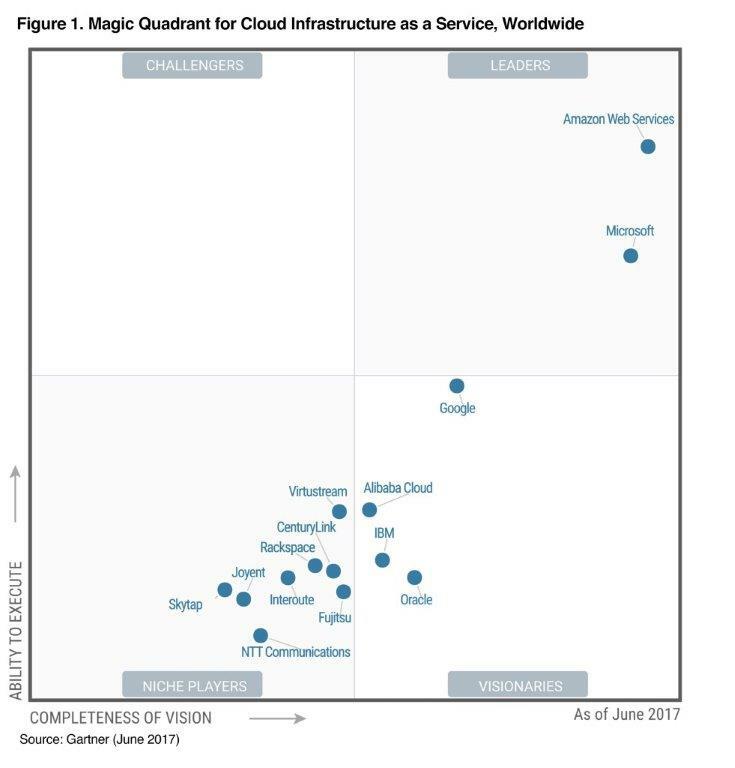 Looking at the past two Gartner IaaS Magic Quadrants (2018 and 2017), it’s clear that the market for the largest public cloud providers is shaking out to a small number, and it is becoming much more competitive. Google Cloud is beginning to figure out how to talk to Enterprise customers, whether it’s about core technologies like Machine Learning and AI, or exploring ways to get into customer’s data-centers with early offerings like GKE On-Prem. IBM will be making an expanded push around open source and Hybrid Cloud with it’s recent acquisition of Red Hat. And Alibaba Cloud has the footprint and cultural understanding to grow in Asian markets and potentially beyond. What was once considered by some to be a single horse race in the public cloud is beginning to turn into a multi-horse race, between some very large and fast moving alternatives. It’ll be interesting to watch the significant moves being made by each company to see how they navigate the competitive waters, and appeal to customers that will be making architectural decisions that will impact their next 5-10 years of business survival.